Sewing how-tos: tote bag heaven! This is the age of the tote bag! As single use carrier bags are rapidly becoming a thing of the past, more and more people are making sure that they have a bag or two with them before they venture into a shop. The beauty of the tote bag – and in particular those that you craft yourself – is that you can produce an array or marvellous creations that match your personality, your outfit and accessories, or even your mood! Most tote bags are pretty straightforward things to craft – though they can of course vary greatly. We thought we’d ease you in to tote bag land with a really nice tutorial on the Cucicucicoo blog, courtesy of Lisa. This one square tote is literally that – it’s made from a 75cm square of fabric. Although it’s simple it’s very versatile – with narrow and deep options, boxed base corners – and the all-important zip pocket for the phone or keys. And while you’re here, check out the added bonus of Lisa’s wonderful how to sew French seams tutorial. We mentioned that tote bags can vary – practical at all times and fun. But sometimes, you may be heading off somewhere where you need an accessory that sets the right kind of tone. You’ll see what we mean when you check out some of the alternatives from Jann on the Newton Custom interiors website. You can go a long way with just black and white (and maybe a hint of beige every now and again). A huge “thank you” to Anne for this really fun and hugely practical variation on a theme – The big zip pocket tote bag how-to. We adore the bright vintage fabric that she uses for the front panel. A really good, detailed tutorial – and the end result is amazing! And to show once again how much tote bags can vary, we’ve got this splendid example from Alanda on the interesting Alanda Craft blog. For those of you that aren’t familiar with the origami bag – it’s soft, without any solid form. It’s also know as the “azuma bukuro” apparently – which is a new one on us! This lesson is so clearly presented and illustrated – and it has the added bonus of a video version at the end – so you get the best of both worlds! We’d love to hear from you! We may even publish details and links on our blog. 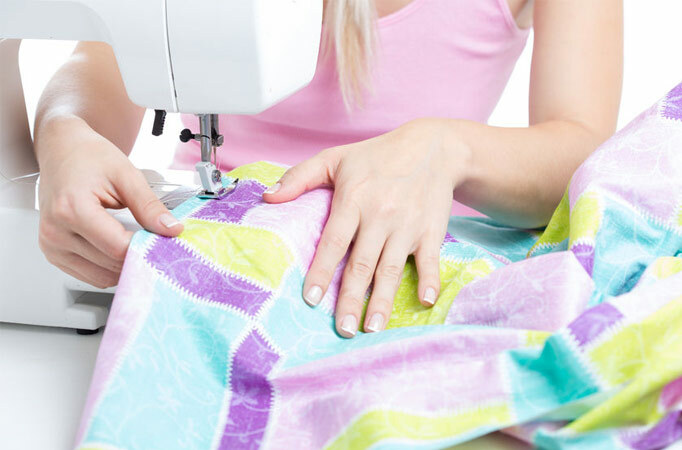 Become part of the Sew & Craft community by emailing your top tips to info@gursewingmachines.com. We’re just mad about sewing!!! Everything kind of product for the discerning sewist! Choose from GUR’s amazing selection of sewing machines and get free UK delivery! They have been supplying sewing machines for over 60 years. Telephone 0121 359 5335 or email GUR Sewing Machines now! This entry was posted in Sewing, Sewing Machine, Sewing tutorial and tagged GUR Sewing Machines, how-tos, sewing tutorial, tote bags on 8th August 2018 by Steve. Sewists – there’s no need to fear the zip! christine Mcdonald on Veronica’s first patchwork quilt! Steve on Inspired by The Great British sewing Bee to take up sewing?